If you’re reading this, then we’re sure you already know that we love cars in Britain, but new research has revealed some interesting and little-known facts*. Between 2007 and 2017, the number of female car owners has jumped by 21%. That compares with an increase of just 10% for men, and means more than one in three cars in the UK is now registered to a woman – equating to around 11.8 million vehicles. Separate figures from Confused.com shows that insurance premiums have fallen for the first time in three years, too. Coincidence? Birmingham and its surrounding areas are historically remembered for their link to the automotive industry, but that’s all in the past, right? Well maybe not – the SMMT’s data reveals that Birmingham is actually home to the most pure electric and plug-in cars in the country. 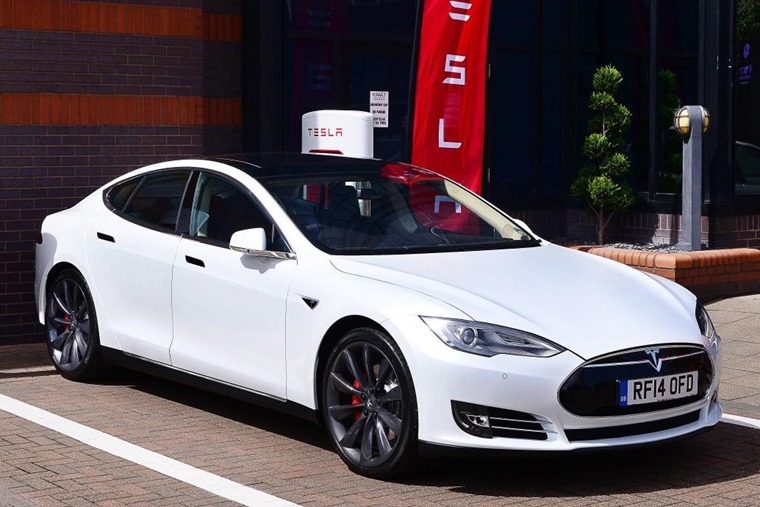 In fact, 8.7% of all plug-in electric vehicles in the UK can be found in Birmingham – a sign that appreciation for innovative automotive is far from dead in the area. There’s still some love for British-built models in the Midlands too, with Worcester having more UK-made models on the road than anywhere else. The SMMT has been consistent in its view that Brexit will have a negative impact for the UK’s car manufacturers, but like the majority of regions, 57% of the Worcestershire population voted to leave the EU. 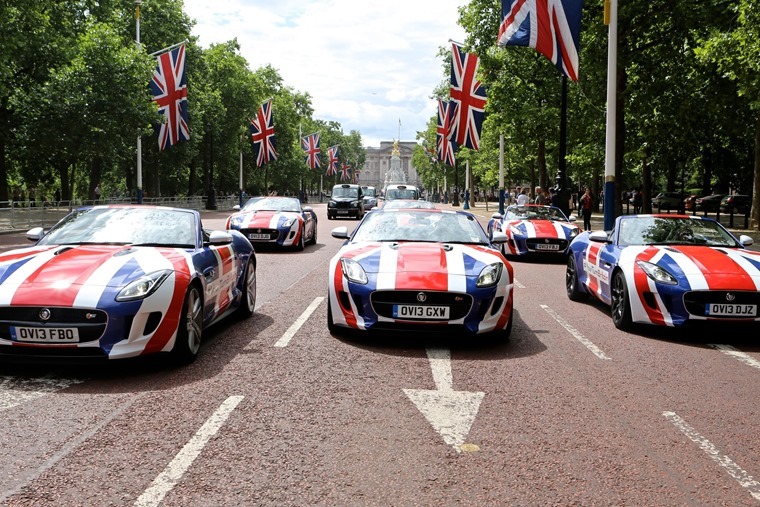 Have they taken it upon themselves to support British manufacturers? Probably not, considering that the Leave vote won in Bridgend too – a Welsh town where you’ll find the LEAST amount of British-manufactured cars on the road. In case you were wondering, the SMMT also revealed that the Isles of Scilly are home to just 582 cars between them. Automatic gearboxes have come a long way in the last few years, and the SMMT’s data shows that 40% of new cars registered in 2017 came with two pedals – that’s a whopping 70.5% increase in autos** compared to 2007. 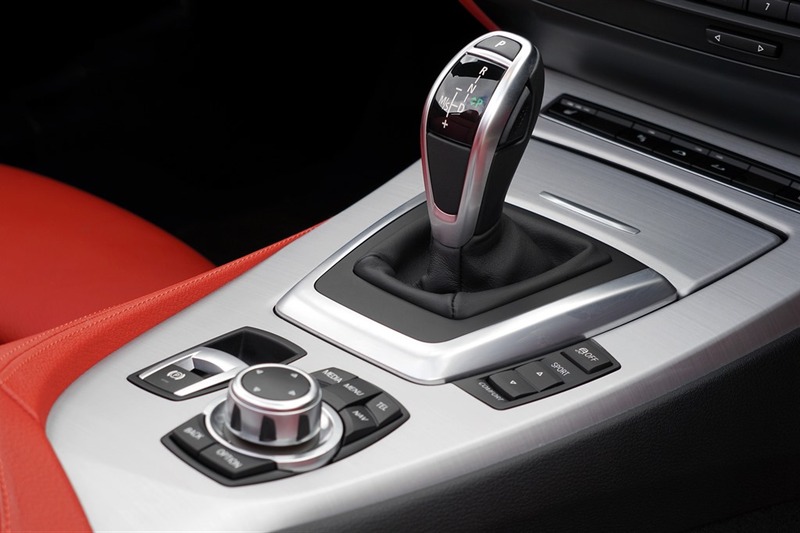 It’s a trend we’ve seen coming for a while in the leasing sector, with our own research showing that close to 650,000 new automatics were registered in the UK in 2016 – a rise of 55% compared with 2013. Every month the SMMT reveals a list of the UK’s most popular cars, but you might not know that it regularly provides a list of the most popular car colours too – a handy guide for seeing what’s hot and what’s not. 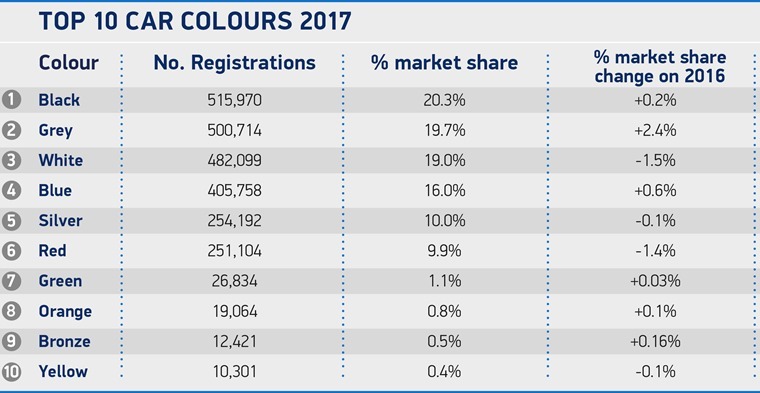 In 2017, silver/aluminium was the most commonly seen car colour on the road, followed by black and blue. Data from 2007 reveals that blue was then the top choice, followed by silver/aluminium and, in third place, red – a colour that has now fallen out of the top five completely. While monochrome colours are certainly more popular than brighter colours these days, there’ll always be those extroverts that like to stand out. 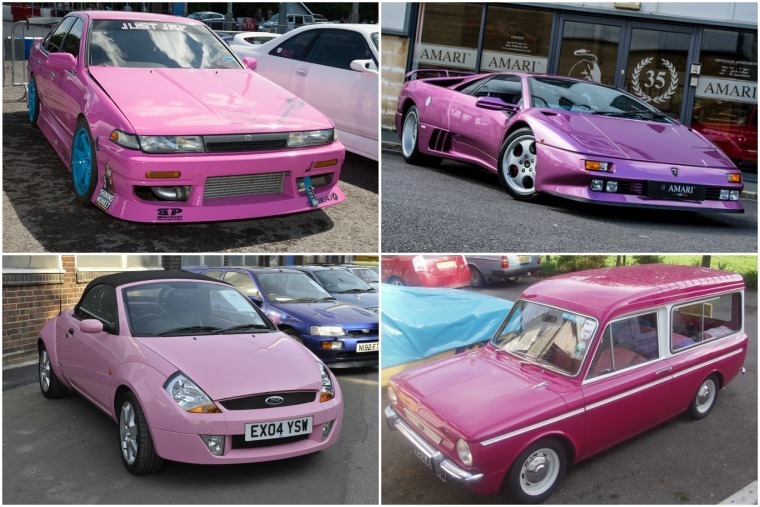 It’d appear quite a few of them live in Leicester, which has the highest amount of pink cars in the country. *According to the UK’s Motorparc database from the Society of Motor Manufacturers and Traders (SMMT). **Includes automatic, semi-automatic and CVT gearboxes.